Step 7: TCS Visatronics / Gerry’s International- Visa Drop Box will contact the visa applicant for delivery of passports. Ban on use of Thuraya/Irridium and Other Satellite Phones in India. Satellite telephone services are not permitted in India and therefore handsets of Thuraya, Irridium and other such satellite operators are not allowed in India.In case those visiting India are found to be in possession of any of these sets, these would be seized and the holder could be prosecuted under Section 6 of Indian Wireless Act and Section 20 of Indian Telegraph Act. What governs the issuance of Indian visas to Pakistani nationals? Visa services for Pakistani nationals are governed by the new India-Pakistan Bilateral Visa Agreement, 2012, which came into effect on December 14, 2012. What kind of visa should I apply for? Can I submit my visa application at the High Commission directly? ALL OTHER visa applicants are requested to approach the TCS Visatronics / Gerry’s International- Visa Drop Box available in the following cities in Pakistan: Faisalabad, Gujranwala, Hyderabad, Islamabad, Karachi, Lahore, Mirpur Khas, Multan, Peshawar, Quetta, Sialkot and Sukkur. Visa fee for Pakistani passport holders for all types of visas is PKR 100/-. Can I submit hand filled visa application forms? The High Commission does NOT accept hand filled visa application forms. You have to fill the online visa application form and follow the steps mentioned above. However, filling the online visa application form is only one of the steps in the visa application process. Processing of the visa application will only commence when the High Commission receives the printed signed online application form along with your passport (or copy of the passport) and requisite documents. What is a group case? Is there a different process if I am applying in a group? How do we apply our cases in a group? This weblink has been made for your convenience as it will allow you to fill the online forms faster, as this link will allow entry of common details in India only once and not filled separately for all the applications individually. This is useful if you are visiting India as a family, for purposes such as visit, pilgrimage, conference, medical or business exhibition. I am having a problem filling the online visa application form. Whom should I contact? Can I submit my application without documents? Submission of documents is MANDATORY and such documents must be clear and legible. Since the documents to be submitted depends on the type of visa applied for, please see the relevant webpage for the visa type to see the list of documents required. Documents will have to be submitted along with the visa application form and passport (or its copy) for the High Commission to process the visa request. Why am I being called for an interview? You may be requested to come for personal interview to Visa Counter of the High Commission, Islamabad when contacted. Please ensure that the correct contact numbers are mentioned in your application. Time and date of such interviews will be fixed in consultation with the applicant. You may be called for an interview so that the High Commission can personally verify the purpose of your visit as well as confirm the documents submitted by you. Why is there a delay in issuing visas? Once a visa application is received by the High Commission, all applications are scrutinized and electronically referred to the Foreigner Division, Ministry of Home Affairs, New Delhi, India for necessary clearance. Once clearance is received, the visa is endorsed and dispatched to you through TCS Visatronics / Gerry’s International- Visa Drop Box availed by you. The average visa processing time for each application is 35 days. It is, therefore, advisable to plan your travel only after you have received your visa. Can I submit the passport later for endorsement of visa? In case you intend to travel and need your passport, you can initially submit only a copy of your valid passport at the time of submission of your visa application at TCS Visatronics / Gerry’s International- Visa Drop Box . You can submit your passport once you have been informed that clearance for issuance of visa has been issued. Please ensure that the correct contact numbers are mentioned in the visa application form so that you can be contacted for the same. You can bring your passport directly to visa counter of the High Commission for affixing the visa or submit it through the same TCS Visatronics / Gerry’s International- Visa Drop Box which had forwarded your visa application. In case you submit the passport directly to the High Commission, in the morning (between 0930 hrs to 1300 hrs), the visa will be stamped on the same day and handed over around 1630 hrs. However, if the passport is received at the High Commission in the afternoon (between 1400 hrs to 1700 hrs), the visa will be affixed the next day. Please note that the High Commission will reject all visa applications which are older than 3 months and/or submitted without the passport after that period. Why am I asked to specify names of cities that I intend to visit in India? Visa issued to Pakistan nationals are city specific and ordinarily a visa is endorsed only for travel to 5 (five) places during each visit. Why have two immigration sheets been sent with my visa? Along with the visa, two immigration sheets are also issued (one each for entry & exit) which you are required to carry while traveling to India and submit to the Indian Immigration Officer. Why was I issued a different visa then than I had requested? The issuance of visa, its type and duration are determined on the merits of each case. Till when can I undertake the journey? Till when is my visa valid? The visa is valid from the date of its issue and NOT from the date of entry into India. You have to complete your journey, i.e., leave India before the date of the expiration of the visa, as endorsed on it. Applicants should consider these aspects while filling the online visa application form. Please do not finalize your travel arrangements to India before obtaining a visa. What does Police Reporting on my visa mean? Does every member of my family need to report to the police? Can someone else report on my behalf? Do medical patients also have to report to the police? All Pakistani nationals, except those holding Indian visas endorsed “exempted from police reporting”, will be required to register, in person, at the nearest police station / Foreigners Registration Officer (FRO) / Foreigners Regional Registration Officer (FRRO) within 24 hours of reaching the specified place of stay. You will also have to make a similar report 24 hours prior to your intended time/ date of departure from each place of stay to the nearest police station / Foreigners Registration Officer (FRO) / Foreigners Regional Registration Officer (FRRO). You are not required to register with the police station, if you are only transiting a particular city and not going to stay overnight. In case you do not visit any particular city which has been endorsed on your visa, you do not have to report to the police in that city. You do not have to report to the police in the order in which places have been endorsed on your visa. If you are traveling with family, only one member of the family will be required to appear before the registration authority for registering on behalf of the family. If you are holder of a medical visa, patients as well as accompanying attendants must register with the FRRO/FRO concerned within 7 days of arrival. Accompanying attendants can also register on your behalf along with necessary document from the hospital concerned, where you have been admitted for treatment. 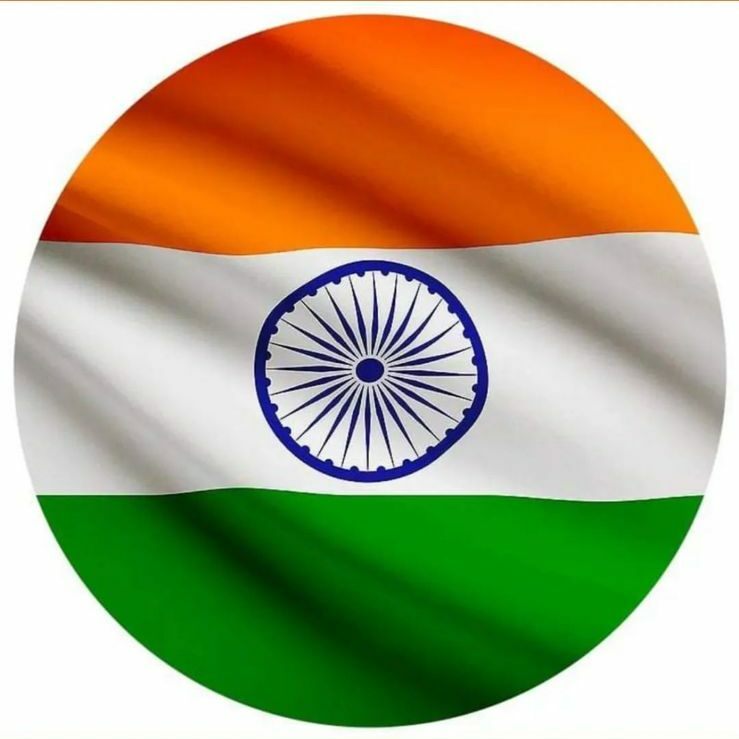 If you are a bonafide business person going to India on a business visit, you can personally report to police for registration or depute an authorized representative to report arrival, in writing, to the nearest police station / Foreigners Registration Officer (FRO) / Foreigners Regional Registration Officer (FRRO) within 24 hours of your reaching the specified place. The authorised representative shall also make a similar report on your behalf 24 hours prior to your intended departure from each place of stay. In case you are holding a transit visa, valid for a period not exceeding 36 hours, you will be required to register only at the immigration point of entry. What do I do in case there is a mistake on my visa or I need to change certain specifications of my visa? On receipt of visas and immigration sheets, please verify all particulars on the visa. In case of any discrepancy, please get contact the High Commission immediately, before undertaking the journey. The High Commission will not be responsible for any inconvenience caused to you due to discrepancies in the visa, not brought to the notice of the High Commission. The High Commission takes every reasonable precaution while handling passport, applications as well as documents of applicants and shall not be liable in any manner whatsoever to the applicant for any loss in transit, accident, fire, theft, natural calamities or any other reason outside the control of the High Commission. Can I perform some commercial activity like sale purchase or signing any contract while on a visitor visa? Any misrepresentation or undertaking of activities in India incompatible with the visa category can result in an immediate revocation of the visa and deportation from India. For example, if you have been given a visitor visa and you perform activities which are commercial in nature, then you are likely to be deported from India and denied a visa for subsequent entry into India. Why was I not issued a visa? Applications which are incomplete or contain incorrect information will be returned without being processed by the High Commission. Additionally, the High Commission reserves its right to return/reject any application without citing any reason. How much money can I carry with me while going to India? Can I carry Indian currency with me? You can bring into India any amount of foreign exchange, subject to the condition that on arrival a declaration is made to the custom authorities in a Currency Declaration Form. It is necessary to fill out a declaration form if the foreign exchange (in the form of currency notes, bank notes, traveller's cheques etc.) exceeds US$ 10,000 or its equivalent and /or the aggregate value of foreign currency notes is US$ 5,000 or its equivalent. Bringing Indian currency by any foreign national into India is prohibited and punishable under Indian law. If Indian currency is found in your possession, you may be arrested or deported immediately from point of entry itself. Therefore, please do not convert foreign exchange into Indian currency in Pakistan for taking into India. Travellers cheques in US$ and pounds are easily exchangeable and ATMs are available in major Indian cities. Credit cards are accepted in hotels and large stores. If you are carrying any foreign currency notes, carry them to India and exchange them into Indian rupees in India itself. What surrogacy arrangement rules should I be aware of? Any person seeking a visa to visit India for purposes of entering into a surrogacy arrangement must ascertain beforehand from relevant authorities in Pakistan whether surrogacy would be permitted by law and the child will be provided appropriate travel documents for accompanying the surrogate parents to Pakistan. Entering into surrogacy arrangements without prior intimation that the travel is for this purpose is punishable under Indian law. When was the last time that information provided on the website was updated? The High Commission, in its sole discretion, may change, amend, cancel or withdraw any or all the terms and conditions mentioned on this website at any time without prior notice. Please check the date mentioned at the bottom of each webpage to know the date of last update. The High Commission assumes no legal liability for the accuracy, completeness or usefulness of any information mentioned on this website.